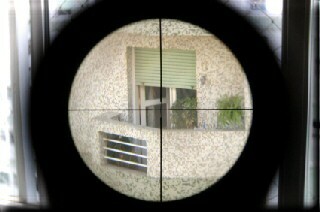 The police sniper holds an integral position within the tactical team structure. He provides real time information, protective overwatch, and the ability to resolve a critical incident with one, well placed shot. He represents the surgical arm of any special operations team, and like any other surgeon, he requires specialized training in order to excel at his profession. This program will provide a foundation and starting point for that training. This course will cover observation and reporting, ballistics, marksmanship, fieldcraft, movement, stalking, camouflage, use of force, policy and procedure, and relevant case studies. NOTICE: Students are advised to be in good physical condition prior to attending this course. 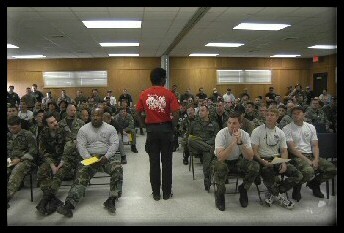 One of the requirements of this class includes passing the Sniper Functional Fitness Test. The test description and standards are available on request. 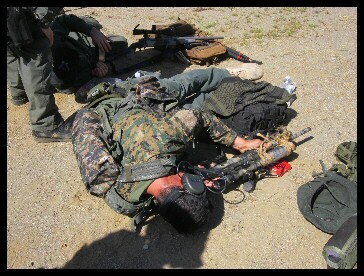 The police sniper needs to become and remain a student of his art, always seeking to improve his knowledge and skills. Gone are the days when a police officer can be handed a rifle, taught to shoot bullseyes, and be designated "marksman." The true police sniper needs to be continually challenged to learn and excel at his trade. He needs to master skills which will prepare him mentally and physically for his job in the field. He needs to be exposed to new ideas, tactics and techniques. This class will give him access to all of this and more. Here, he will take the next step in his sniper education. There is far more to sniping than just shooting. The police sniper is possibly the most important and misused element of the tactical team. The success or failure of the sniper program rests heavily on their command personnel. They are the people who will make the crucial decisions about selecting, equipping, training and employing snipers in critical incidents. However, they cannot be expected to make knowledgeable decisions without a thorough understanding of the police sniper, his function, his needs, his capabilities and his limitations. This two-day course is designed to educate the SWAT supervisor charged with the responsibility of establishing and utilizing a sniper program. It will give him the information he will need to make the program successful and effective. Content includes establishing a program, writing policies, buying equipment, organizing and documenting training, current tactics, legal issues, media relations, and relevant case studies. This five-day class is desgined to address specialty topics we are unable to give adequate attention to in our other programs. Day One is the 8-hour Tactical Vision Program for Special Operations Teams. In addition to classroom material which will focus on unique case studies and legal issues, the class puts a heavy emphasis on weapon skills. We will cover in-depth extended and unknown range shooting, low-light shooting, moving targets, discretionary scenarios, and a variety of odd, but necessary shooting skills. The courses of fire are all validated by documented police sniper engagements. Because of the nature of this class structure, class size is limited. Enrollment is restricted to veteran, working snipers only. You must have graduated from a basic sniper program prior to enrollment. Knowledge is useless unless it can be passed on effectively. This 40-hour course is designed to train the trainers, giving snipers and team leaders the tools they need to design and deliver in-service sniper training to others. 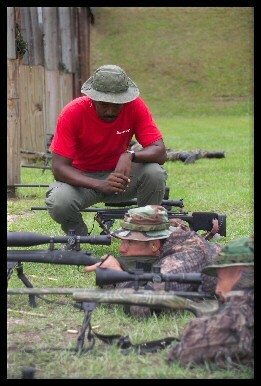 This is not a basic sniper course, and students are expected to come with the prerequisite knowledge and skills. This course is an intensive mixture of classroom lecture, writing assignments, interactive group projects and range exercises, fully immersing students in the learning and teaching process. 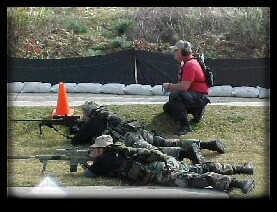 Students will learn a wide variety of techniques for teaching snipers, as well as the underlying instructional principles. Students who successfully complete this course and the necessary prerequisites will receive certification as an In-Service Police Sniper Trainer. This is a reading list of publications we highly recommend to all potential students. These books will aid the student instructor in meeting the skill and knowledge requirements of the class. You are not the trained observer you think you are. Make officers aware of the scope of the problem of Perceptual Blindness, and how it affects their performance and safety. Teach officers the mechanics of vision. Introduce officers to the various components of Perceptual Blindness. Teach officers how to recognize the limitations of their vision, and give them the training tools to overcome the problem. Teach officers how to integrate their new visual skills into daily activities like investigations, handling service calls and driving, both routine and pursuit. Tactical Vision is an 8-hour class that will actually show police officers how to become “trained observers.” To supplement the classroom instruction, officers will receive a proprietary CD, containing over 50 training exercises, which they can do at their leisure, to develop and maintain their observation skills. The Tactical Vision program was originally designed for special operations personnel, but is highly recommended for all police officers. Class sizes and schedules can be customized to fit your department’s training needs. Contact Snipercraft, (863) 385-7835, to discuss details and pricing. Check here to download a two-hour radio presentation detailing the Tactical Vision Program. 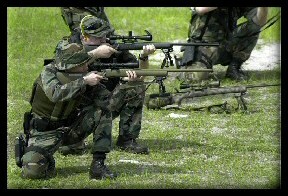 Snipercraft courses are currently held for various agencies around the country. Check the training calendar for upcoming dates and locations. Any agency interested in hosting sniper training in their area is encouraged to contact Snipercraft. In addition to our standard class structures, we can customize a course to meet your agency's particular needs. Costs are very reasonable. Snipercraft's training staff is composed of experienced police snipers and tactical personnel, who have a first-hand knowledge of the skills they are teaching. Our courses are designed for police snipers, by police snipers. Each phase of the instruction is meant to be relevant, realistic and practical. Over the past 25 years, Snipercraft has provided training and support for snipers and supervisors from almost eleven hundred agencies across the country, Canada, South America and Europe. References are available on request.